"An action-packed, high-octane driving experience!" 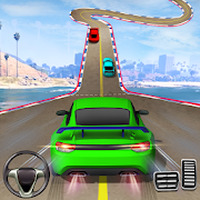 Crazy Car Driving Simulator: Impossible Sky Tracks is related to Android apps, Comic, . Installation requirements: A minimum of 45M of free memory space and Android 4.4 or higher. Do you like Crazy Car Driving Simulator: Impossible Sky Tracks?